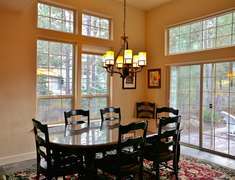 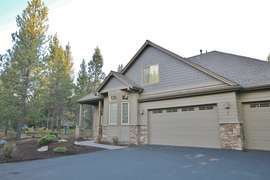 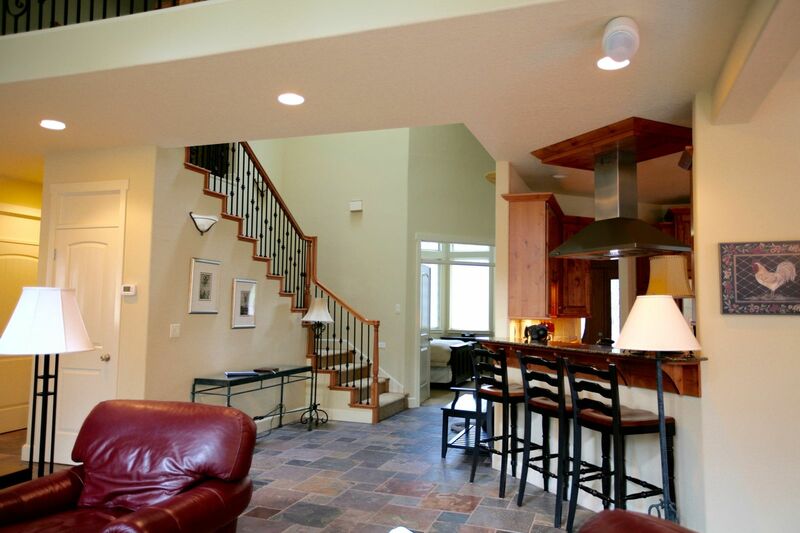 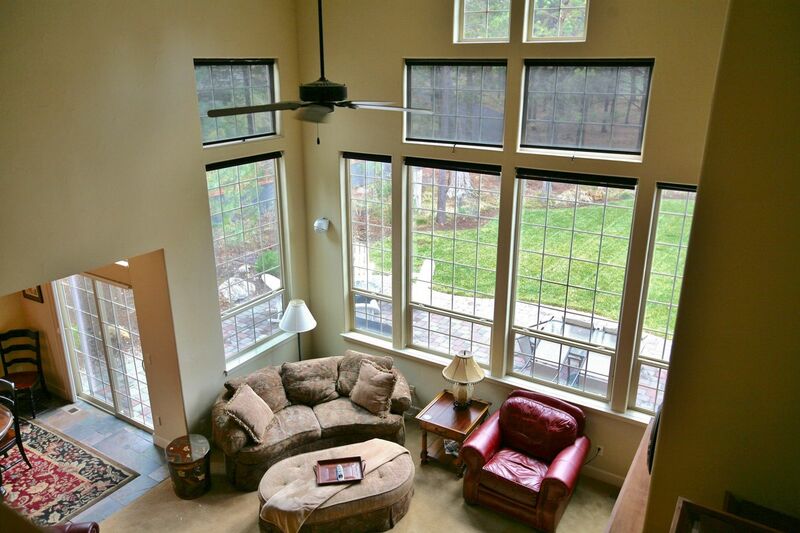 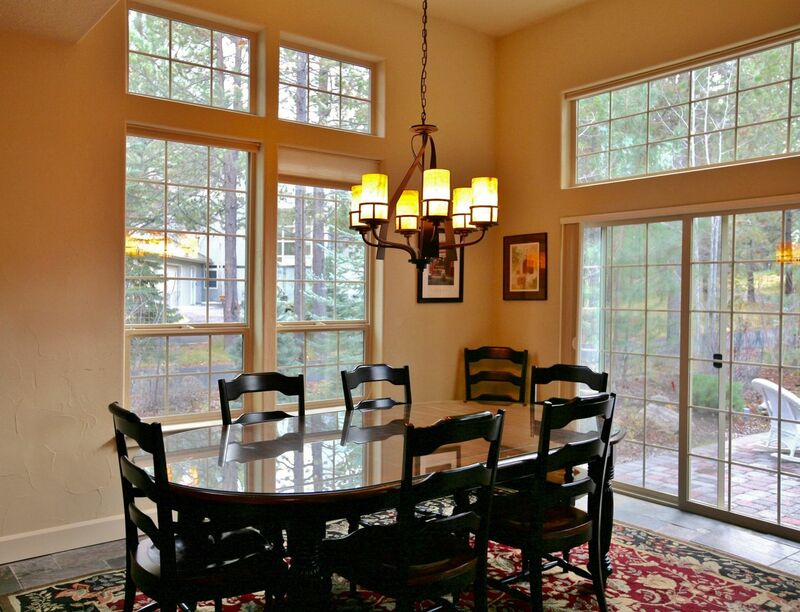 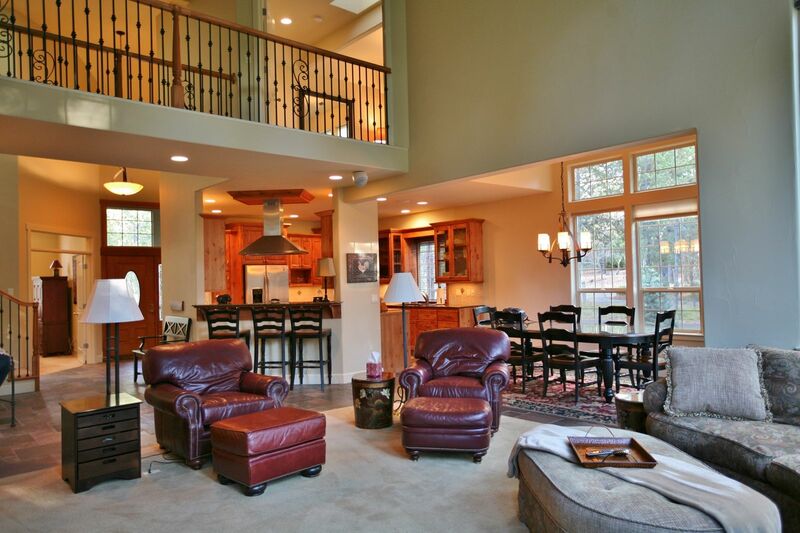 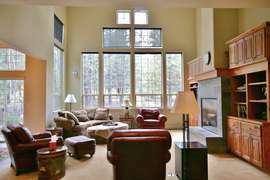 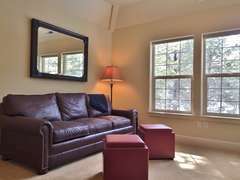 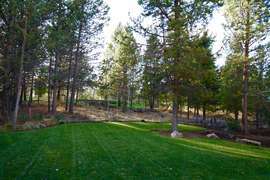 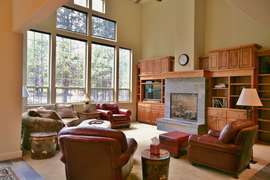 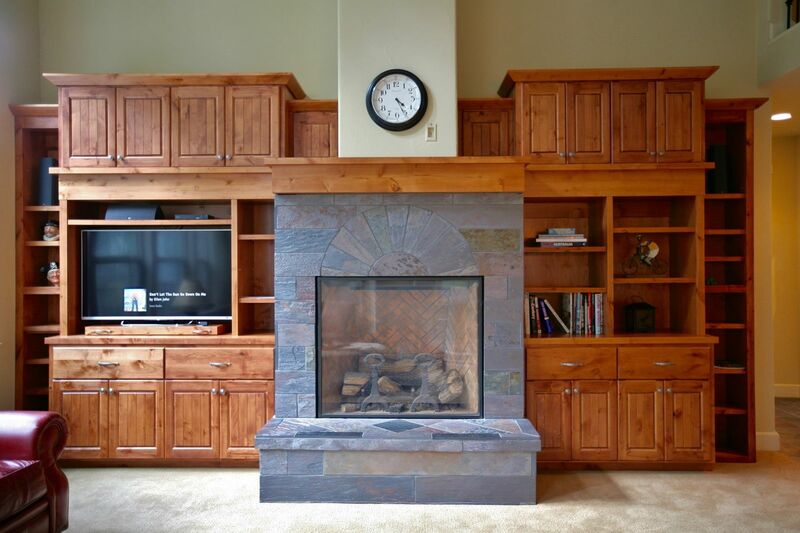 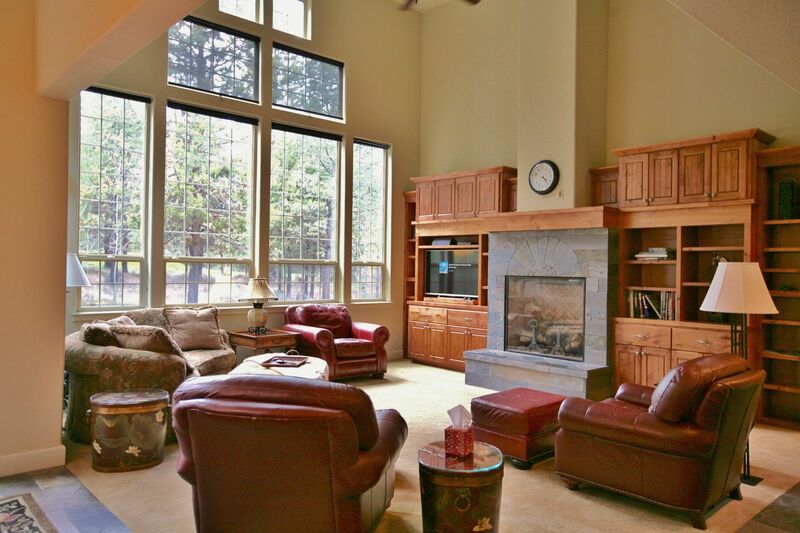 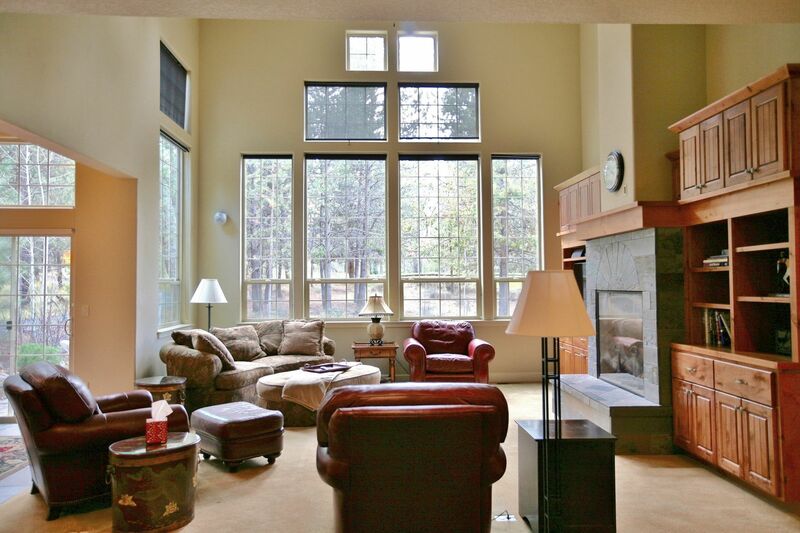 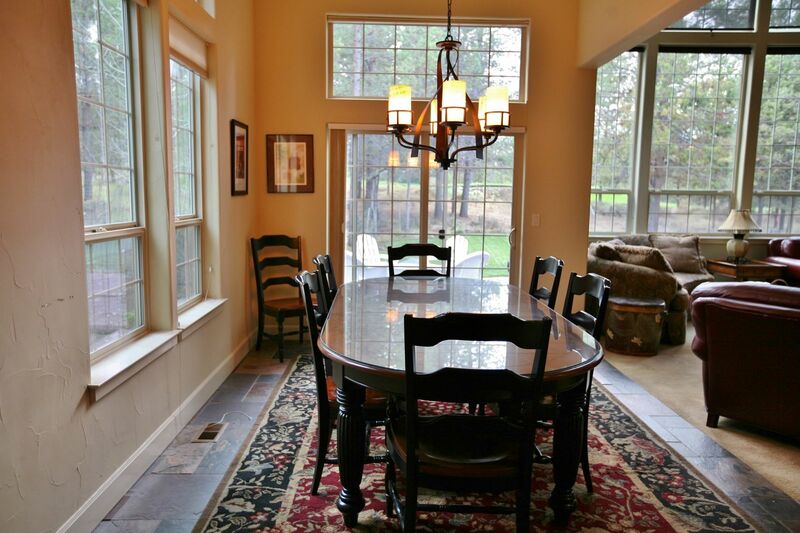 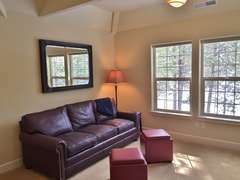 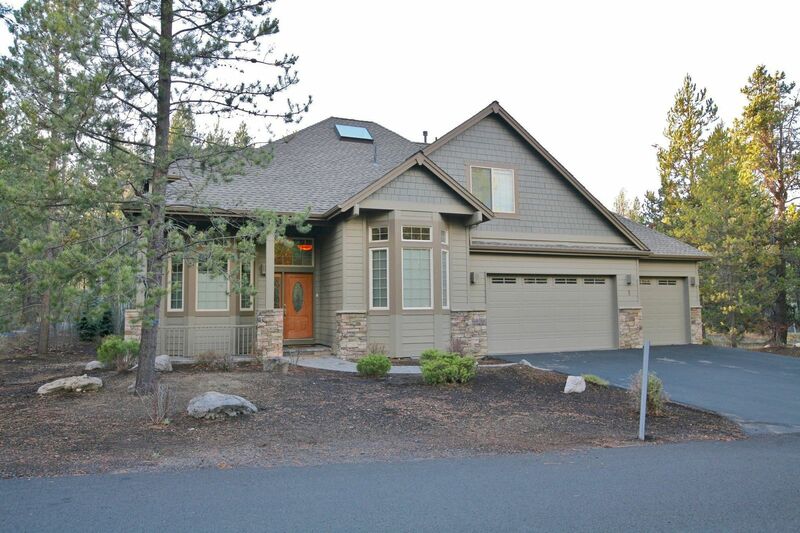 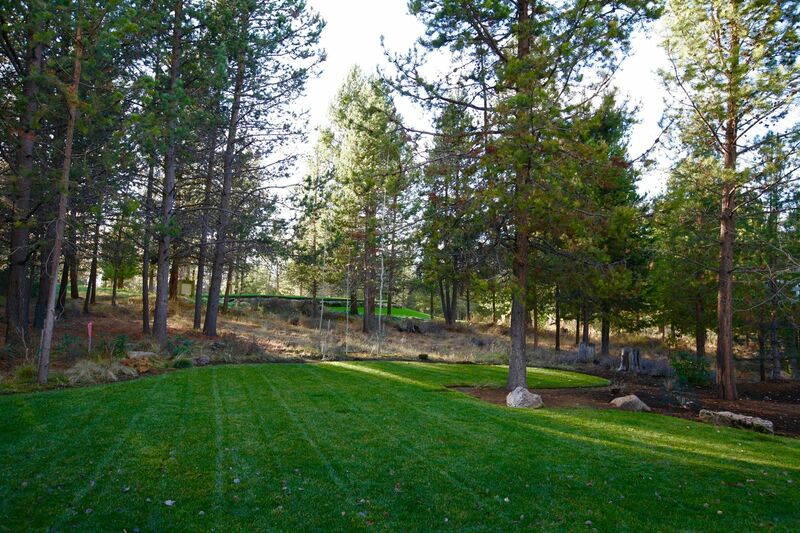 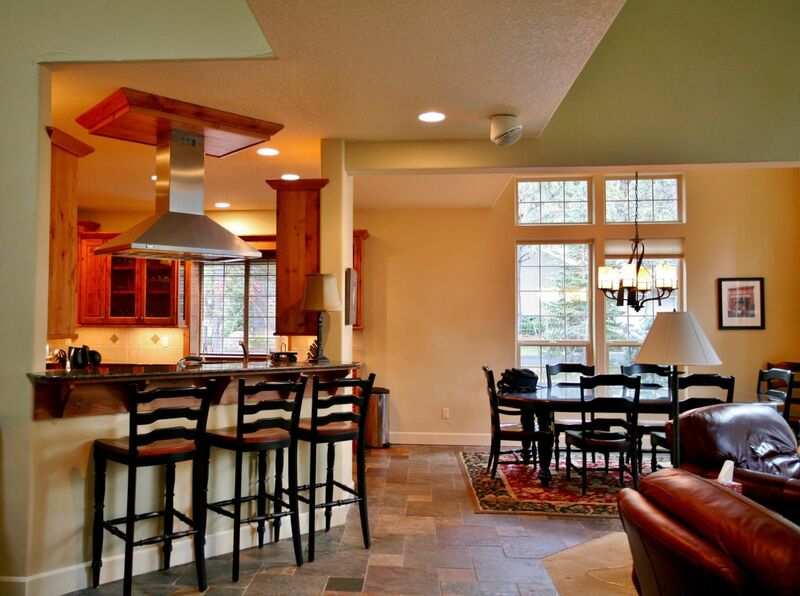 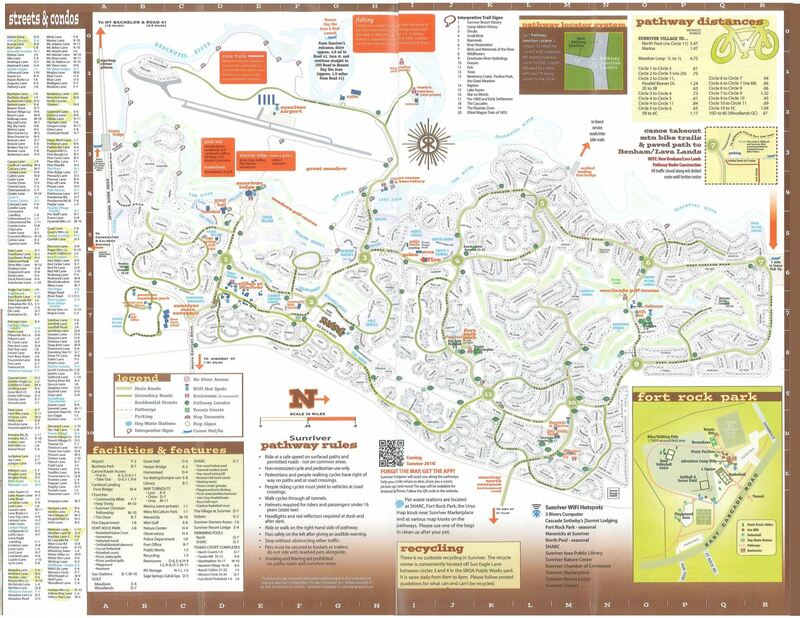 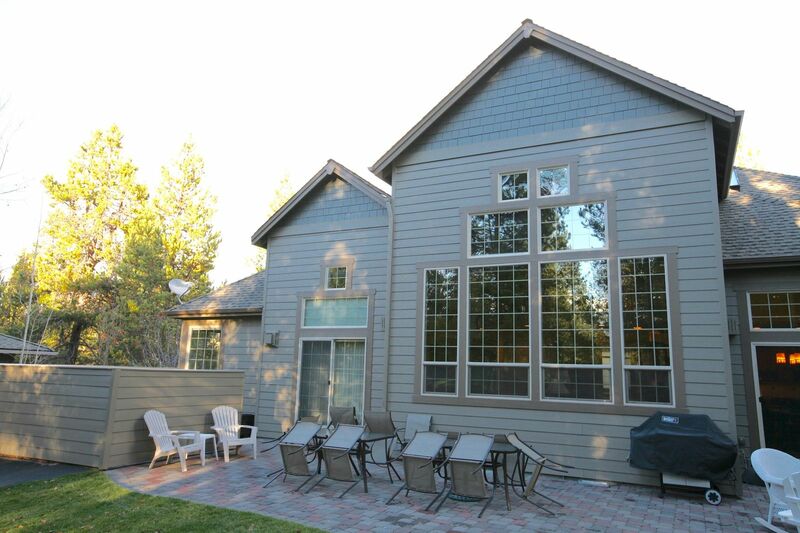 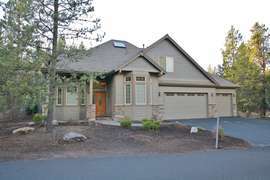 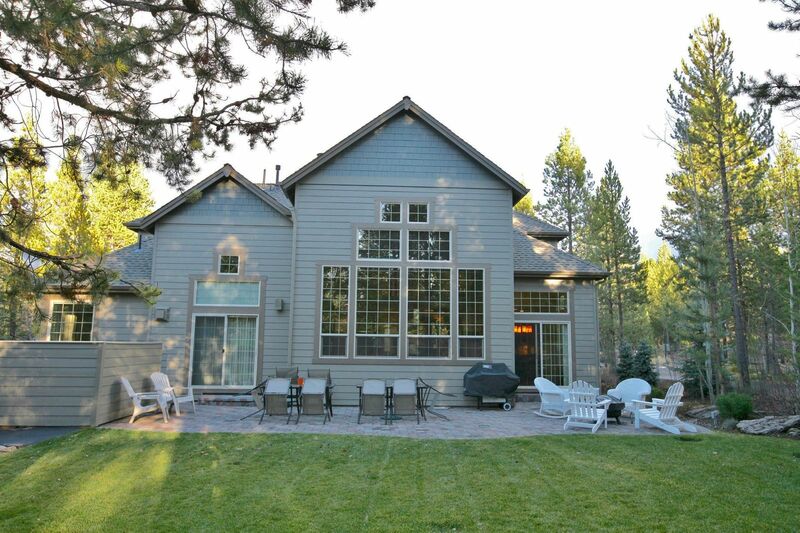 One of our favorite Sunriver vacation rentals, 1 Cherrywood Lane, is located on the 16th Tee of the Woodlands Golf Course. 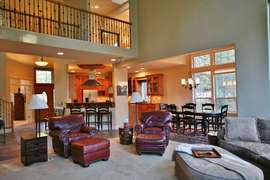 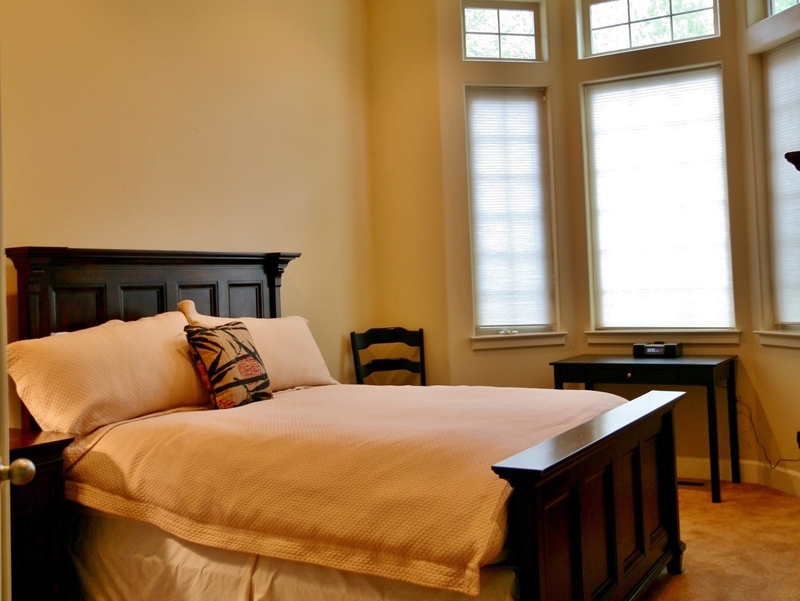 The home comes with all of the luxurious amenities expected in a well appointed home. 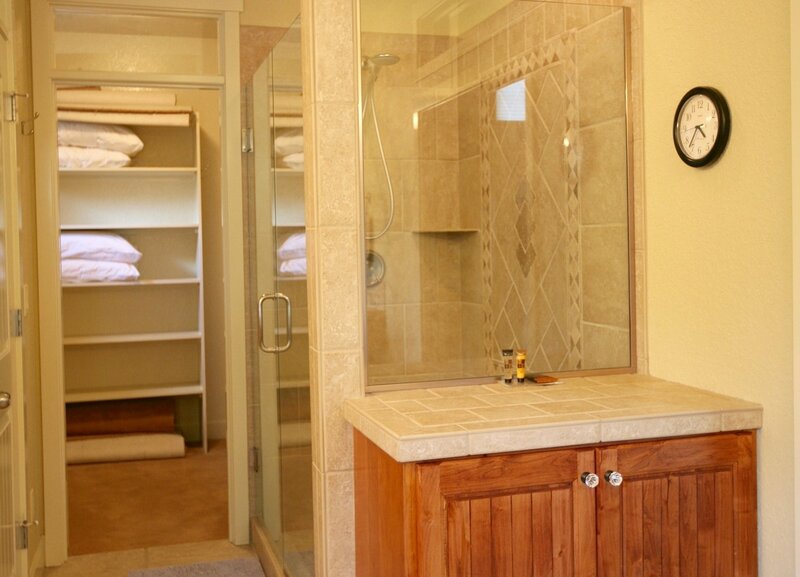 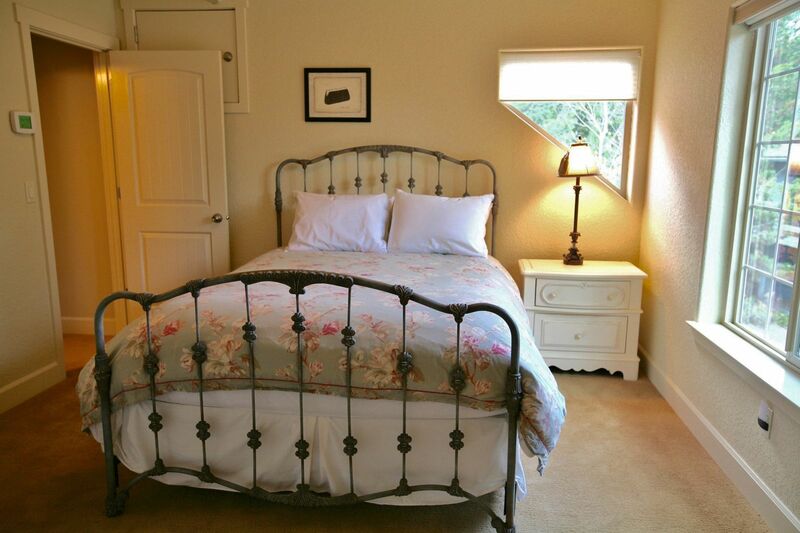 This beautiful home has all of the luxuries for a relaxing and elegant vacation. 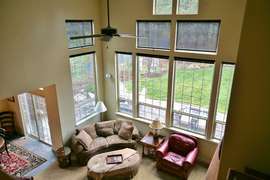 At 1 Cherrywood you can relax and enjoy all of the comforts of a Gourmet Kitchen, while still being connected to the dining and living rooms. 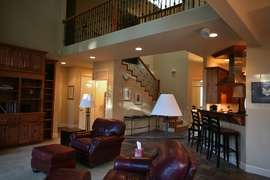 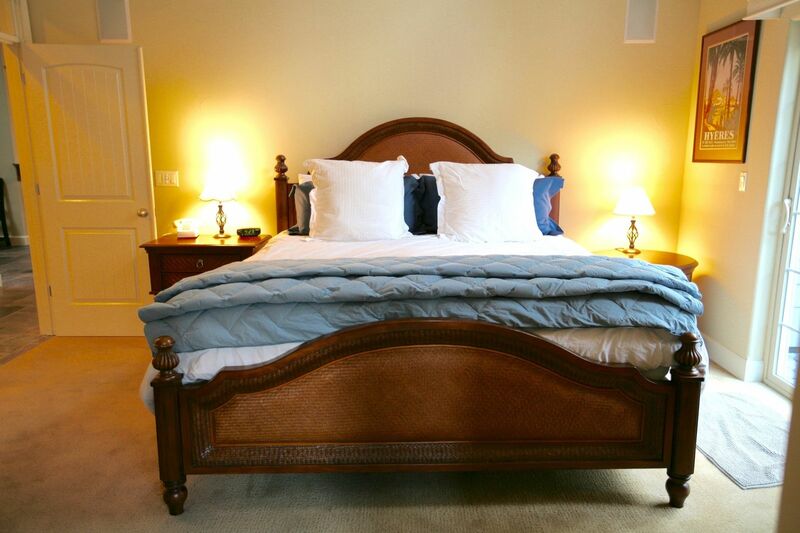 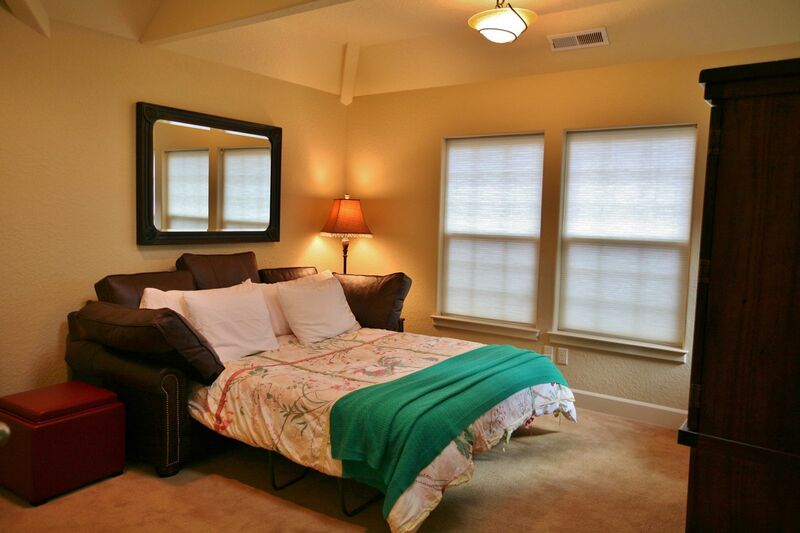 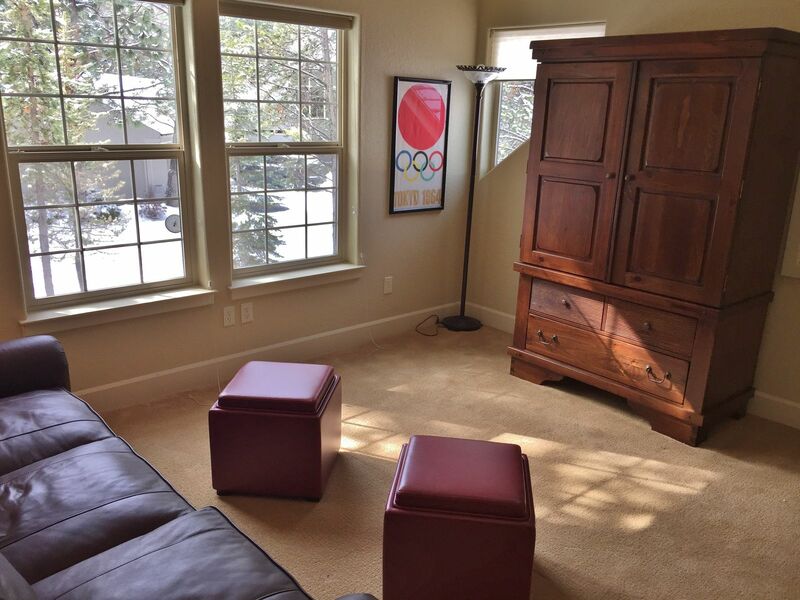 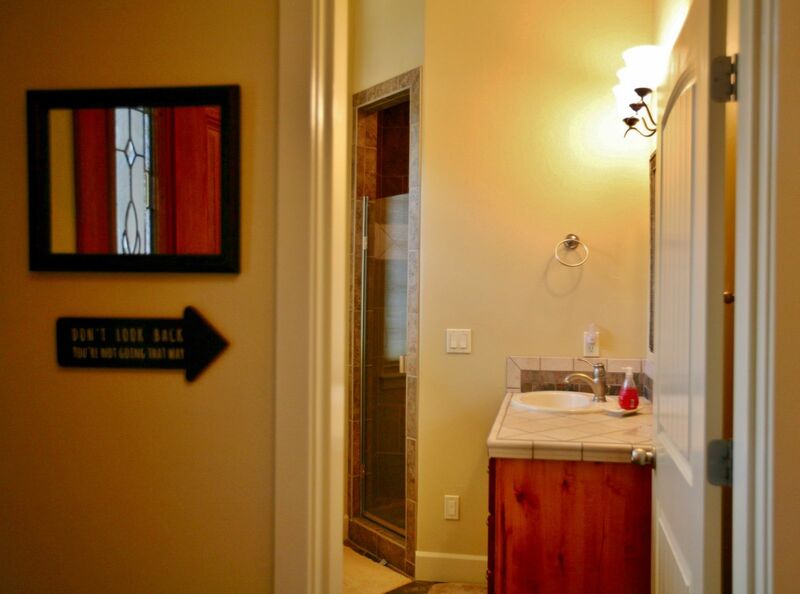 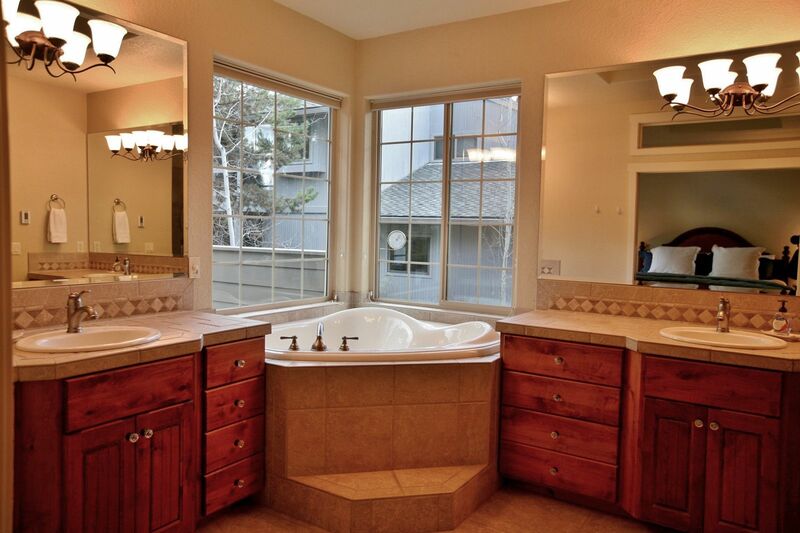 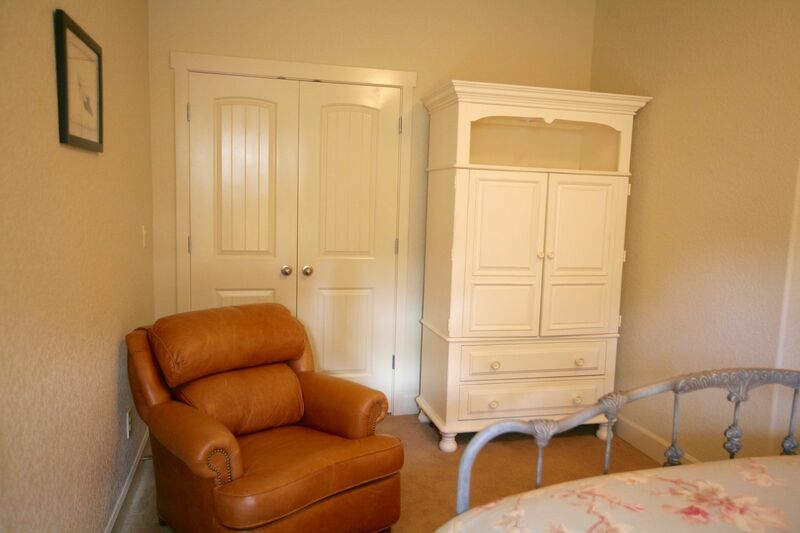 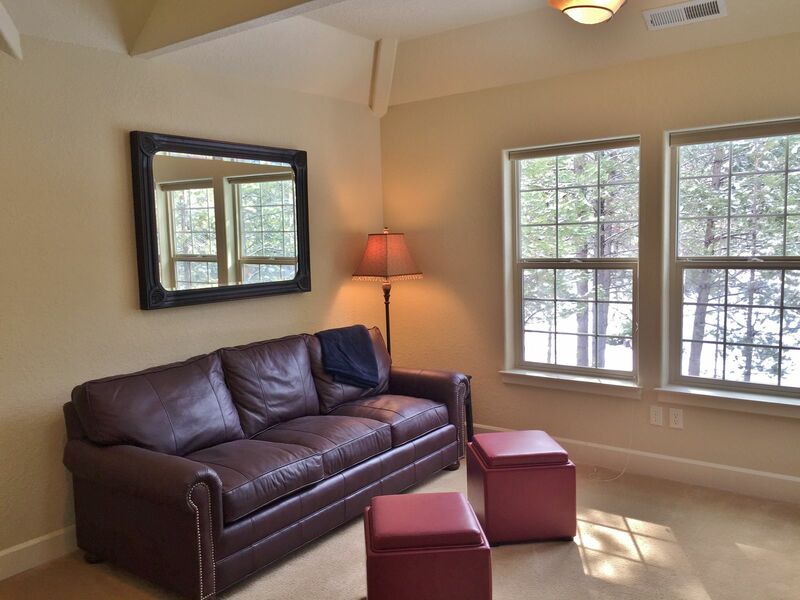 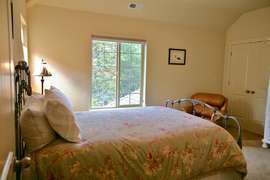 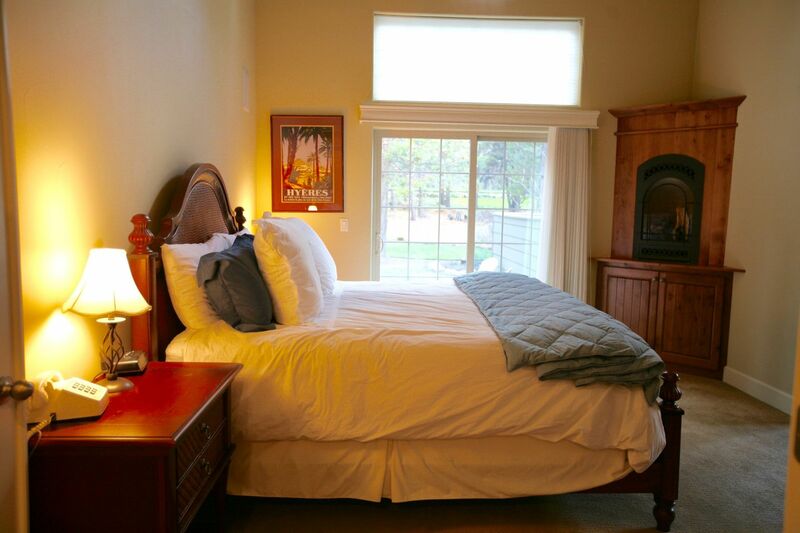 The back patio has a private hot tub, comfortable furniture and a view of the golf course. 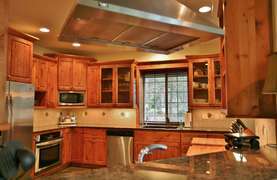 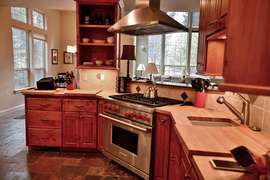 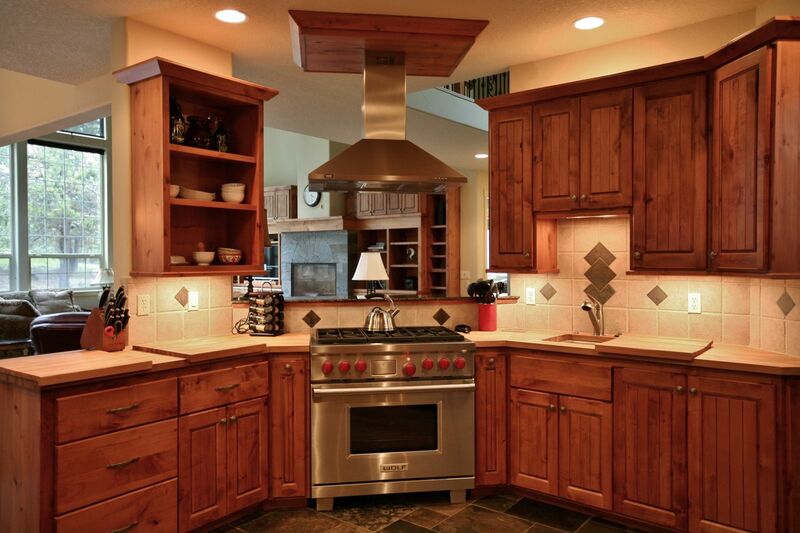 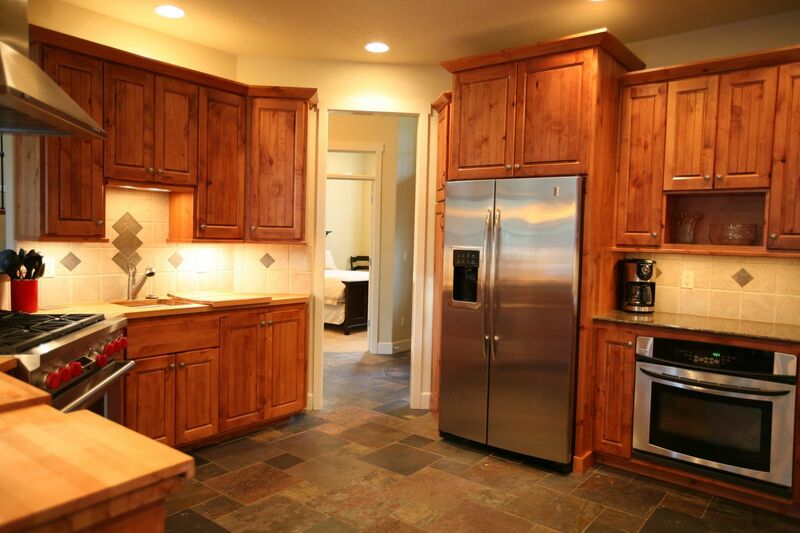 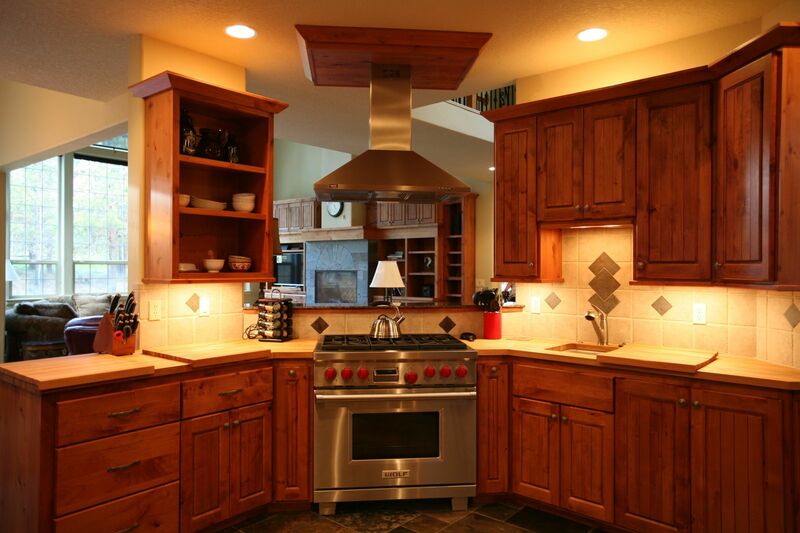 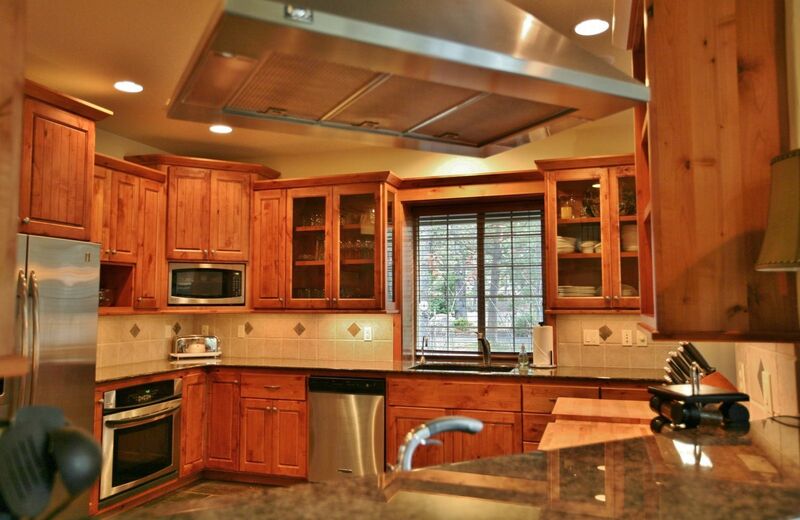 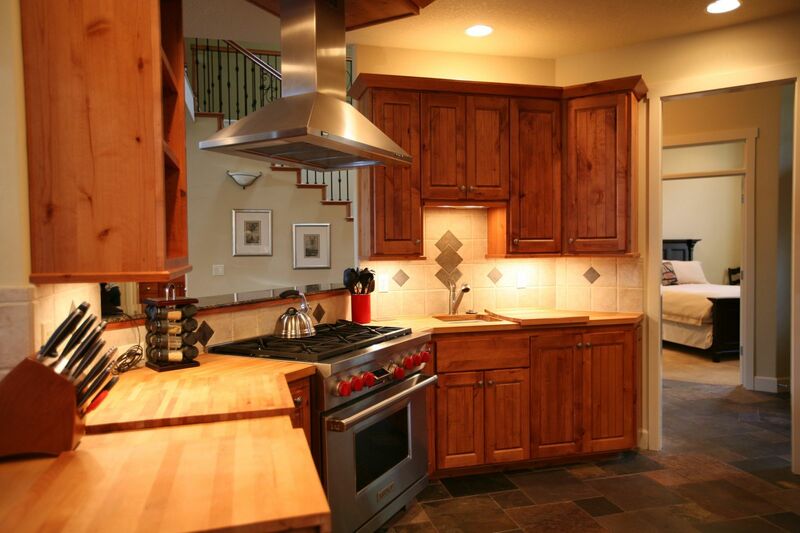 1 Cherrywood has a fully stocked kitchen with beautiful granite and butcher block counters, upgraded appliances, dishes and all of the kitchen tools that you will need for your perfect vacation meals. 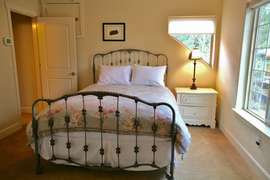 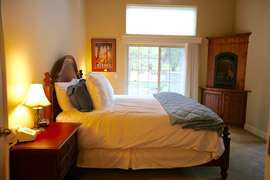 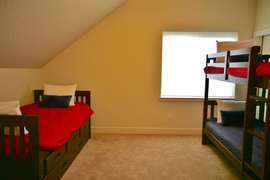 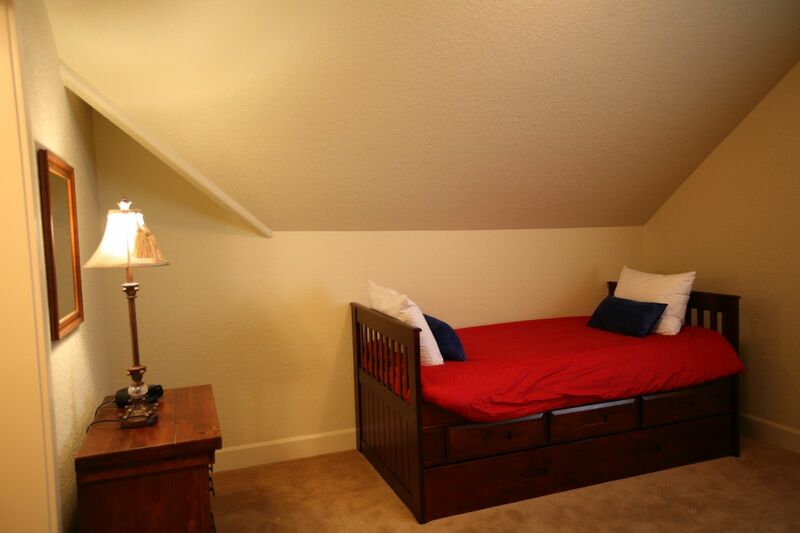 The 5th bedroom doubles as a family room with a TV and bluray player, for the times when you want to stay indoors. 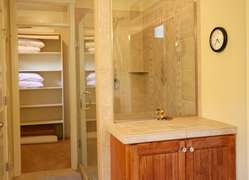 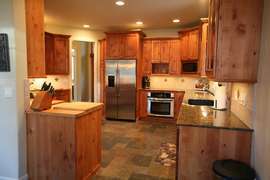 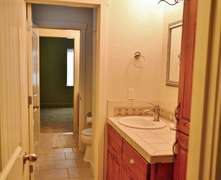 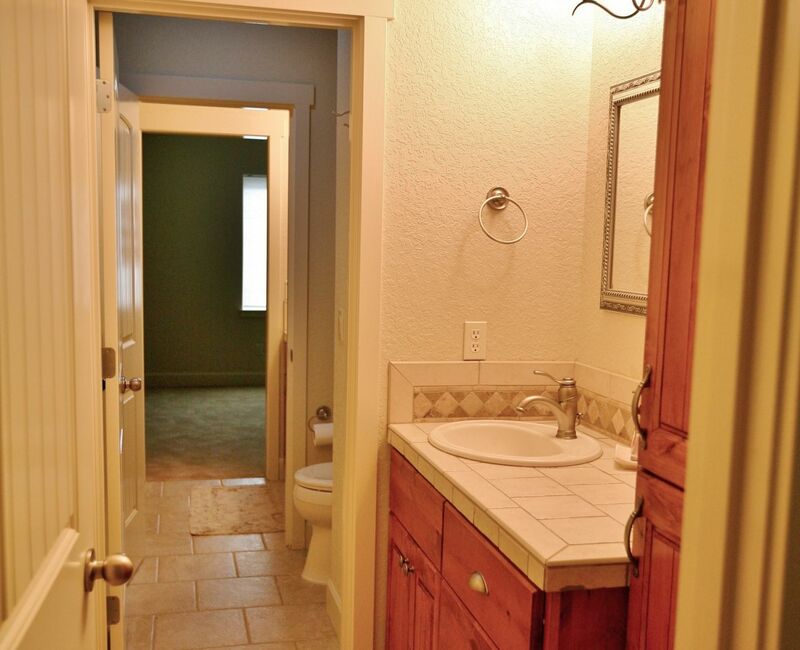 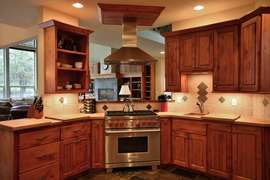 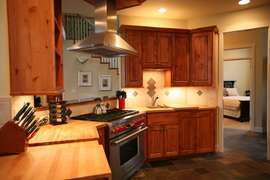 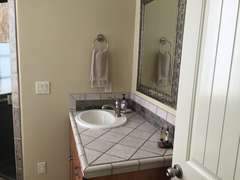 The home has an attached garage and laundry room for comfortable parking and unloading in the winter or summer. 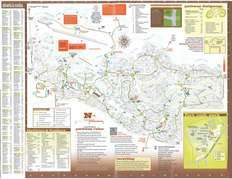 10 SHARC passes are included!